Voip-Pal.Com has just put its new PointsPhone Mobile(TM) App for the iPad 2 into beta testing. The company is a leading provider of Voice over Internet Protocol services for global calls on mobile devices such as smartphones and tablets. Voip-Pal.Com aims to provide a fast and reliable service and now the beta can be downloaded immediately. 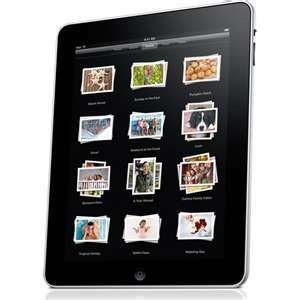 It taps into the success of the iPad and almost guaranteed success of the iPad2. Especially as some industry experts believe that tablets will eventually outsell laptops. Apple in particular has 80% of the tablet market. Yet as successful as the tablet iPad is, it needs an app such as VoIP-Pal to become a telephone. With VoIP-Pal it is then possible to make calls at two pence per minute and there are all sorts of special features such as the ability to email a digital copy of voice messages. The app can work over a Wi-Fi connection. Dennis Chang, the President of Voip-Pal, said: "Apple has revolutionized the personal computing world with its introduction of the original iPad last year." “By downloading our App, the iPad 2 is turned instantly into a telephone. The same VoIP technology that turns your smartphone into a cost-effective telephone, can now be used on the iPad 2 for both domestic and international calls." 0 Response to "VoIP Pal Creates iPad2 App"